Trion has posted up patch notes for RIFT 3.4: Into the Wilds. Patch is approx 3.98GB. Check out the RIFT 3.4: Into the Wilds Trailer video here! As with every major patch, CM Morgana has posted up a “3.4 Known Issues” Thread. Be sure to check it out for any known bugs. Here’s a brief overview of major additions to the patch as well as a bunch of additional information not provided in the official patch notes. Primalist Calling. New 5th calling ‘Primalist’ is now available either via The Wilds Pack or the Primalist Calling Pack on the RIFT Store under Services. Unlocks the first six available souls. 4 more will come out at a future date. If you bought Primalist, you need to log out of the game, sign out of Glyph and then log back in for your new calling to appear in the create character window. Planetouched Wilds. A new, massive zone to the right of Droughtlands has opened up with new lore, quests, puzzles and more! Check Achievements -> Zones -> RIFT -> Planetouched Wilds for all your achievement needs – are you ready to hunt those 160 rares? Intro Quests. If you are Level 65, you should have received a mail from Rahn Chuluun with introduction quests to the Planetouched Wilds. You don’t have to do them though. Just Walk In. You can just walk straight into the Planetouched Wilds from /setwaypoint 8020 5609 in Droughtlands. About Wilds Quests. The main storyline of the Planetouched Wilds is split up into three parts: Act 1 available now; Act 2 available on Oct 21st; Act 3 available on Nov 4th. Shal Korva Quartermaster. The new zone has a new notoriety “Shal Korva”. You can purchase a heirloom ring and new BiS seal runes from the Shal Korva Quartermaster at /setwaypoint 10315 5897. Wilds Weekly Quests. There are 4 weekly quests obtainable in the Wilds. Be sure not to miss out as they reward NT marks! 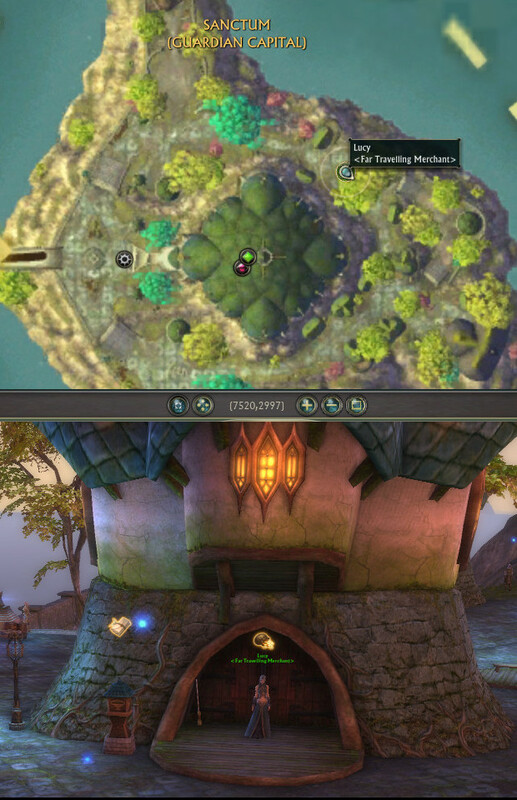 All four located at the top of the floating islands in Plain of the Ancestors at /setwaypoint 10113 4944. Wilds Achievements. For those confused where the new achievements are for the Planetouched Wilds, they can be found under Achievements (default key “h“) -> Zones -> RIFT -> Planetouched Wilds. Dancing Yeti Vendors. New ‘Dancing Yeti’ dual-use dimension items can be bought from the Far Travelling Merchants Jeffrey and Lucy in Meridian and Sanctum respectively. The Dancing items can be used in the open world or placed in your dimension. Other Dancing Partners are rewarded from completing Planetouched Wilds-related artifact sets. Three New Artifact Types. There’s three new artifact types specific to the Planetouched Wilds: Poison, Burning and Nightmare. You can see Poison artifacts as random chance when picking up normal artifacts. This gives you Poison Sight which also acts as a Damage-over-Time on you. You can see Burning artifacts as random chance when picking up Poison artifacts. This gives you Burning Sight which also acts as a DoT. You can see Nightmare artifacts as a random chance when picking up Burning artifacts. This gives you Nightmare Sight which also acts as a DoT. All three DoTs can stack. Picking up Nightmare Artifacts gives random chance of all three Sights refreshing. Also, the higher the rarity of the artifact you pick up, the higher the chances of receiving or refreshing one of the Sights. Completing all sets of an artifact type will net you an achievement that rewards you with a special, animated Portrait Badge. You can check them out under Achievements -> Zones -> RIFT -> Planetouched Wilds. Callweddi. Callweddi is an island located at the east coast of the Planetouched Wilds. There’s a puzzle on the island which begins a long journey towards accessing the ‘Callweddi Village’ area on top. The area provides access to a few vendors that sell a lot of dimension items, puzzle boxes, Life Lifter mount, Callweddi Ceremonial wardrobe and more! Dead Simon showed off the place here. Rhaza’de Canyons Dungeon. 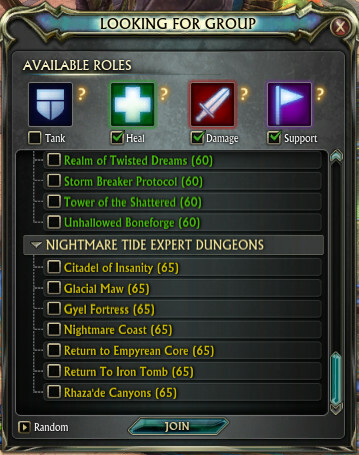 The new Level 65 Expert Dungeon “Rhaza’de Canyons” is available under LFG -> Select Dungeon. It is scaled slightly higher than normal NT expert dungeons. Assault on Bronze Tomb Warfront. A new warfront is out, introducing the new ‘assault’ mode. Switch between the Attacking and Defending as you try to take down the three rooms faster than the other team. There’s more information about the warfront from Trion’s two livestreams – summaries here and here. PvP Knockback/Pull Change. Not mentioned in the patch notes, Trion added knockback effects to the pull/teleport-to-me cooldown group in terms of CC immunity. This means you will no longer be affected by both a pull and knockback one after the other. Full info and explanation from Vladd’s post here. Crafting Additions. There’s a new tier of runes and vials, Planar dream orbs available for new slots, Planar crafted seals and earring runes and more! Check out a guide to RIFT 3.4 Crafting additions here! Blinding Dream Orb Stats. The Dream Orb Stat Sheet has been updated with stat combinations of various tiers of belts, gloves and earrings for the new Planar Blinding Dream Orbs. No more Torvan Stout. Not mentioned in the patch notes, the approx. 20g Torvan Stout drink has been removed from RIFT Store -> Drinks. You’ll now have to get the 58g Moon Water drink which heals for 58k compared to Torvan’s 43k. Note: The new Tier 3 20-man Mind of Madness is not slated for 3.4 release, but will be available in the 3.4 patch cycle. From previous information, there might be a livestream dedicated to previewing the new raid in a week’s time. == FEATURES ==NEW CALLING: THE PRIMALIST! Vulcanists tap the forces of an erupting Volcano to rain fire upon their foes. Fury is to thank for much of their damage, though preserving a state of Harmony yields advantages, too.DID YOU BUY THE WILDS PACK? For players that have purchased The Wilds Pack, you will now automatically have access to The Primalist Calling with 6 souls! You also get an additional character slot, Minion: Zendi, and the Khar Warfront Announcer. Don’t forget to check your mailbox for Pet: Zendi and the Primal Spirit, a level scaling trinket! The Wilds have returned to Telara! Explore the savage homeland of the Bahmi and discover the secrets of this land thought forever lost to the planes. Only the most powerful Ascended will be able to search these savage lands on the trail of Rahn Chuluun and Tam Daggerborne. Meet the King of the Wilds at his court in Shal Korva and visit Ovog Shrine, the spiritual heart of the his people. Along the way you’ll find quests, artifacts, events, and unique enemies await, as well as the new Rhaza’de Canyons 5-man dungeon as you strive to uncover the last of the hidden landscapes of the Mathosian continent. The karma of this ancient land is being consumed, and only the Ascended can save it. * Act 1: Into the Wilds – Available now! Seek out Uriel Chuluun at the Alliance Camp in Cosmic Steppes. * Act 2: The Titan and the Tigress – Available October 21st. *Act 3: Keeper of the Karma – Available November 4th. The Assault on Bronze Tomb introduces a new gameplay mode to RIFT’s PVP! Each side takes a turn attacking and defending the three rooms of the Tomb, each with two control points. When a room is captured, the action moves deeper and deeper into the ancient structure. Each room has its own challenges, whether it’s fiery traps, spiked floors, or Ancient Defense Cannons that rain fire and destruction on your enemies… as long as they have power, that is! Can you capture the ancient powers of the bronze tomb? But more importantly: can you hold onto your hard earned gains before they’re stolen back from you? In the heart of the Planetouched Wilds lies the Amachidan Olidos, the dread Ascension Machine controlled by Teth Mortna. With this diabolical device he seeks to raise an army of Baac Abominations from the twisted remnants of the once mighty Red Sun Tribe. The remaining Bahmi tribes have already been overwhelmed, the tamed passages through the treacherous chasms barred by uncountable hordes. Now Telara’s only hope lies in those few who are able to brave the forgotten path to the machine known as Rhaza’de Canyons. This all new five man Expert tier dungeon offers superior rewards and challenges to be conquered! Join up with four of your friends and put your might to the Teth! “Do you dream about artifacts? Are they nice, happy dreams of you finding that one Epic Artifact you’ve been hunting for weeks? … Or are they terrible nightmares about getting stuck in some dreadful crevice, only to harvest the same shiny you got the last six times? I know I dream about them, especially after placing them for days on end. And let me tell you: they are not always good dreams. So now? As Telarans frolic through the planes happily looking for shinies, there is a chance to be struck by a poison. This poison will do a small amount of damage over time, but will have the added effect of allowing you to see Poison Artifacts that have an eerie green hue. As you harvest, Poison Artifacts, know that each one has a chance to place an additional damage over time effect on you that will pile on more damage. But with more risk comes more reward: this additional debuff will allow you to see the orange glow of Burning Artifacts. Burning artifacts are not only hot, they are the stuff of nightmares. Harvesting these can apply a final damage over time that will allow you to see the elusive and ephemeral Nightmare Artifacts. Take care, dear Shiny Hunter, the damage you are taking now is not insignificant. Keep an eye on your health as you search for these, and be aware that hunting Nightmare Artifacts can Poison, Burn and give you nightmares, while refreshing all three damage over time effects. Any of these effects can be removed with a simple click– but then, you will no longer be able to see their associated Artifacts. * Poison, Burning and Nightmare Artifacts are found in the Planetouched Wilds. * Normal Artifacts can give you Poison Artifact Sight. * Poison Artifacts can give you Burning Artifact Sight. * Burning Artifacts can give you Nightmare Artifact Sight. 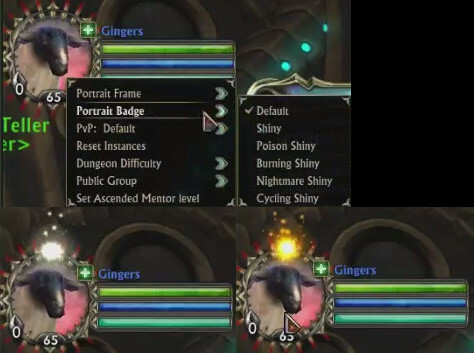 * Nightmare Artifacts can give you all of the above! * The higher the rarity of the collected artifact, the higher the chance of getting the DOT! * All 4 artifact types have their own individual collections to finish, with over 80 collections and over 600 artifacts in all! * Fixed a crash when editing dimensions. * Loot windows no longer close way, way too easily. * Fixed a bug where dying during click to move would cause you to continue to move to the same location once alive. * Fixed flickering ground clutter. * Importing macros from another character will also now copy over the Category Names. * Quest, achievement, and item links have been added to the Guild Log. * Tooltips are now available in the guild bank log for items that are withdrawn or deposited. * Fixed an issue with bank vault data not being available to addons, and corrected item tooltip display from addons. * Optimized the Rift Store for faster category item display. * It is no longer necessary to relog to purchase trophies after unlocking achievements. * To prevent characters from entering a bad state you must now be out of combat to use a level 60 boost item. * When a character dies within a dungeon instance or a chronicle instance and the player chooses to respawn within the instance, the character will respawn at the initial teleport entry map of the instance. – Additionally, when a character dies during a duel while in a dungeon or in a chronicle instance, the character will respawn automatically at his death location. * 3 Additional bank vaults are now available for purchase! *The level 60 boost equipment for Primalist now features a special appearance! Check out the Ancestor’s Exalted Hide Armor appearance set, along with a new 2-handed sword appearance! * Three new 155% mounts are now available in the RIFT Store for 15,000 Platinum: The Dark, Red, and Seafoam Crabnaroks. * Underwater Mount Training can now be purchased for 3,500 Platinum. * Warfront Callouts: Added less randomization to Cosmologist Mann callouts so the alternate lines will play more. * Fixed a problem with featured mounts on sale not showing on the Rift Store after you purchase them so you were then unable to gift them. * The Empyreal Slayer’s and Empyreal Conqueror’s armor sets from the Storm Legion expansion are no longer available on the store. – They have been replaced with a more powerful set of armor named the Empyreal Champion’s set. – The Empyreal Champions set shares appearance and wardrobe unlocks with the Empyreal Slayer’s armor set. – Players wishing to collect the Empyreal Conqueror’s appearances can find them on a new set of armor that drops exclusively from rare mobs in the Planetouched Wilds, or can find bundles containing wardrobe versions of the items in the store under the Wardrobe tab. * You can now purchase a sunny day sky projector that does not cycle day/night. Look for it on the Rift store under Dimensions -> Interactive. * Feeling lucky? Feeling generous? Gift your friends with a Lucky Fortune Biscuit containing one fortune! Look for the Lucky Fortune Bundle on the Rift Store! These new fortune biscuits also include new titles, achievements and a reward for completing the final achievement! * There are now disc building blocks available for Dimensioneers! Look for them on the Rift Store under Dimensions -> Building Blocks! *We’ve cleaned out the store! Well, what we’ve really done is condense many outdated currencies into the more common and now nearly ubiquitous Void Stone. * The following outdated currencies have been removed: Sourcestone, Infinity Stone, Plaque of Achievement, Warlord’s Mark of Conquest, Plaque of the Mountaineer, and Empyreal Slayer’s Mark. * Prices that were in those currencies have been converted to Void Stone. * In some cases, these prices have also been reduced to reflect the reduced value of items that are no longer part of the current endgame. * This change does not affect the prices of any Nightmare Tide gear. * Planarite remains an active currency and no Planarite prices have been changed. * Nightmare Tide prices have not been changed. * Sourcestone, Warlord’s Mark of Conquest, Plaque of the Mountineer, Infinity Stone, Empyreal Slayer’s Mark, Frozen Eclipse Stone, Fragments of the Ward, and Plaques of Achievement have been converted to coin at varying rates. * Hidden tabs within the chat window will now glow when receiving a new tell. * Selecting an artifact set from the Achievements window will now open up the artifacts page showing your progress toward that set. * Achievements that reward Portrait Icons now display a badge in the achievement window. * Made it easier to sticky and unsticky Quests and Achievements. * New color options have been added into the Settings to override the red used for the Warning color in the crafting window, and the Alert Message color. * The quest log now includes buttons to expand and collapse all quests. * Fixed being unable to click on minion or adventure cards in the minion window if you clicked on a small icon in the card that had a tooltip. * Viewing the list of presets in the soul tree will now display role icons for faster viewing. * Fixed an issue in the Guild Roster causing notes to refresh while being edited. * Fixed issues with scrollbars and lists resetting in the Social window, Notoriety and Currencies tabs. * fixed the overhead cast bar disappearing after doing a reloadui. * Fixed a bug with adding a Friend from Raid frames when not in the same world/shard. * Using /target on a stealthed player will now display the same error message as with an invalid target. * The health bars in our Portrait UI and Raid frame UI can now display an indicator of what your Max Absorb is. Adding shields to a player that is already at Max Absorb will not help. * Applied dyes in the Wardrobe window will now show the dye name in a tooltip when you mouse over it. * Fixed case where the warfront stat leaderboard would constantly jump player names around. * Auction house searching is now a lot faster. * A new checkbox has been added to the Auction House to filter items by uncollected wardrobe appearances. * Filtering by stat no longer requires min/max values. * Bundled items can now be previewed like other wardrobe previews! * The wardrobe window now has a Random button. This picks random selections from wardrobe items that you have unlocked. You still need to hit the Save button once you have something you like. * Added the ability to ctrl + click on items in the Appearance Sets tab of the character sheet, and preview full sets. * The Chain of the Frozen Eclipse wardrobe set no longer exists. Items from that set now correctly appear in Desolate Cloth, Desolate Chain, or Desolate Plate sets as appropriate. * Removed three unattainable mace appearances, Heavy Mace, Carmintium Cudgel, and Bronze Mace from the wardrobe system. * Unattainable items have been removed from the Assassin wardrobe sets. Players can now complete these sets. The unattainable Caduceus Gear set has been removed. * The Shard Vault now supports moving items to/from the quest log item container. Item restrictions still apply for the Shard vault and the quest log container. * Using the bag search will now filter items within the Shard Vault. * Primalist Trainers have now joined their fellow Class Trainers throughout the world. * Character creation presets will now display recommended presets. * All characters now have a cap on the amount of Absorb that can affect them. * This cap defaults to 50% of a character’s Maximum Health, and is indicated on each character’s health bar. * Dodge Rating increases the amount of Maximum Absorb a character can gain. This increase is reflected in the UI element for Maximum Absorb. * Absorbs applied in excess of the cap will fill the Absorb up to the cap, with excess effect being lost. * The Absorb cap changes dynamically with a character’s Maximum Health, causing abilities which change your Maximum Health to also change your Maximum Absorb. * All Tank Soul Absorb abilities with 30 second or greater cooldowns will increase your Maximum Absorb by an amount equal to the amount of Absorb they provide. Essentially, these abilities function outside of the Maximum Absorb limit. * Standardized absorb effects across the board to be 85% damage blocked and 15% bleed through. * Fixed a bug with proc calculation and global cooldown buffs. * Fixed a bug where characters would keep guard even after the character providing guard has left the map. * Renamed the cleric preset “Druidicar” to “Nature’s Vengeance”. Renamed the cleric preset “Nature’s Vengeance” to “Advanced Nature’s Vengeance”. The content of these presets are unchanged. * Soul Stream: Healing effect now scales with Spellpower. * Combined Effort: Fixed a bug where one Druid’s Combined Effort debuff would overwrite another Druid’s Combined Effort. – All Clerics attacking an entity can now place their own copy of Combined Effort on the target. * Censure: This spell now requires line of sight. * Hammer of Duty: Bonus threat generation has been reduced by 33%. * Latent Blaze: Now cancels when the recipient changes maps. * Sign of Faith: The damage reduction has been reduced from 7% down to 6%. * The Mana cost of all Shaman spells has been reduced by 20%. * Icy Blow: Base damage has been increased by 7.5%. * Crushing Blow: Base damage has been increased by 7.5%. * Massive Blow: Base damage has been increased by 7.5%. * Glacial Strike: Base damage has been increased by 7.5%. * Lightning Hammer: Base damage has been increased by 7.5%. * Frozen Wrath: Base damage has been increased by 7.5%. * Jolt: Base damage has been increased by 7.5%. * Avalanche Strike: Base damage has been increased by 7.5%. * Strike of the Maelstrom: Base damage has been increased by 7.5%. * Glacial Shield: Absorb amount has been decreased by 14% at levels below 62. * Light of Redemption: Can no longer proc on an ally more than 35m away from the original caster. * Modified the displayed list of talent presets for Mages during character creation. * Phantom Stream: Healing effect now scales with Spellpower. * Natural Splendor: Removed spell pushback. * Wild Growth: Removed spell pushback. – No longer forces an Eldritch Gift proc. – Instead, it now forces your next three attacks to be critical hits. – Cooldown has been reduced down to 30 seconds. – Stealth duration reduced down to 4 seconds. – No longer breaks on damage taken. * Empyrean Ascension: Now increases damage dealt by 40%, up from 25%. – Now applies 1 stack of 8% increased damage taken debuff, changed from 3 stacks of 3% increased damage taken. – Damage has been reduced by 4%. * Combat Mastery: Now also reduces damage taken by 5%. * Fixed a bug causing a number of blade effects to disappear after dying, including Reaper’s Blade, Lightning Blade, and Magnetic Blade’s effect on Charged Blade. * Reaper’s Blade: Fixed a bug which caused Reaper’s Blade healing effects to disappear after dying. * Vorpal Edge: Has been changed to provide 3% critical hit chance with Slashing attacks per point, down from 4% per point. * Living Charge: Has been changed to provide 4% increased damage on all abilities while Charged Blade is active per point, down from 5% per point. * Fixed an issue allowing Essence of Wind and Phase Step to be used while carrying a flag in PvP. * Lich Form: Fixed an issue where Lich Form did not count as a charge consuming ability for the purpose of triggering effects. * Putrify: now only affects single-target pet attacks. This eliminates a situation where a pet using an AoE would cause Deathly Calling stacks to be placed on an unintended target. * Putrify: Fixed a bug that caused Putrify to apply Deathly Calling stacks on autoattack. * Warlock Armor: Fixed a bug where the healing effect would not persist through death. * Timed Focus no longer increases the duration of Rhythmic Actions. Instead it increases the range of Flash of Steel by 10m. * Planar Variation: Can no longer critically hit when used to heal an ally. * Quick Reflexes: Now grants 1% Critical Hit Chance per point invested. * Blade Finesse: Now grants 2% AP and Weapon Damage per point invested. * Combat Expertise: Now increases the damage of all abilities by 2% per point invested instead of just Combo Point generators. * Contra Tempo: Now provides 10/20/30/40/50% Attack Power to Quick Strike and Precision Strike. * Hack and Slash: Now grants 2% bonus damage per point invested after a critical hit. * All Rhythmic Actions now have a 90s cooldown. * Twin Strike: Now Twin Cleave. AoE targeting up to 5 enemies that requires MH only. OH component has been removed. * Quick Strike: Now a MH attack. Still a follow-up. Does not require OH weapon equipped. * Weapon Barrage: No longer Debilitates. * Precision Strike: Now a MH attack. Still a follow-up. Does not require OH weapon equipped. * Improved Deadly Dance: Reduced the damage bonus from 5% per talent point to 4%. * Rift Guard: Changed to a flat damage reduction of 5% instead of an absorb. * Improved Rift Guard: Increases the damage reduction of Rift Guard to 7% as before. * Rift Barrier: Now reflects the amount of damage prevented by Rift Guard instead of absorbed. * Power Variation: Can no longer critically hit when used to heal an ally. * Abolition: Can now only happen once per 10 seconds. * Pet Ability: Bite: Now has a 3 second cooldown to prevent it from stomping autoattacks. * Soul Sickness: No longer benefits from the AOE portion of Slayer’s Crystal. * Dire Step: No longer removes DoTs from the Warrior when Shadow Warp is used. – Now a standard channel and requires the Warrior to stand still while channeling. – Reduced the damage bonus provided by Reaver DoTs on the target for Viral Stream from 30% to 25%. Infestation: Reduced the damage bonus provided by Reaver DoTs on the target for Infestation from 45% to 40%. – Soul Sickness, Necrotic Wounds, and Flesh Rot are now contextual based on if Plague Bringer is active. – Plague Bringer now reduces damage done to the primary target when active. * Bonus talent debuffs applied by Soul Sickness, Necrotic Wounds, and Flesh Rot are now part of the DoT to reduce the amount of debuffs applied. * Shadow Strike: Now increases damage done by 20% instead of 25%. * Rift Implosion: Has been replaced by Rift Burst. Water based finisher that deals massive damage to a single foe. 15s cooldown. * Stonespear: Now a damaging ability (again). * Windspear: Now an interrupt. * Downpour: Increases the damage of Rift Storm by 3% per talent point spent. * Focus Fire: No longer a raid buff, but instead a 1h buff for the Tempest that increases crit chance by 5%. * Resonating Strikes (Mastery) now decreases ability cost by 25% during Wavelength instead of 10%. * Oscillation (Talent) increased to 5% per talent point from 4%. * Stormbringer (Talent) increased to 6% per talent point from 5%. * All Zone Events will now reward player with level appropriate rewards if the player mentors down appropriately. Yes, this means you can now earn Void Stones from Volan! * Clarified the descriptions of all zone event achievements to include the name of the event and the zone. * Merged Plane -> Fire achievements of Your Fate is Sealed with Terror Above because the triggering events for both were identical. This should not be confused with the Rhen of Fate achievement also named Your Fate of Sealed (which was not changed). * Carnival of the Ascended: The Zone Events Jewel of Brevane and Take It All Back! have been re-enabled for next year’s Carnival. * Carnival of the Ascended: The achievements Go Home, You’re Drunk, What? I’m Taking It Back!, and Fear and Loathing in Tulan have been moved from the Planes – Life category to World Events – Carnival of the Ascended. * The requirements of the achievement Bug Juice have been changed to killing Swarmlord Khargroth. * Quest: The Unproductive Mushroom has finally reached the surface of the street. * Quest: Soul Atrophy: The Pelagic Monks are growing concerned that too many Ascended have been slipping off the icy cliff while trying to help them. The Soul Repair ability has had a range increase from 10 meters to 15 meters and is no longer blocked by line of sight. * Completely finishing a Crafting Rift in Tarken Glacier now spawns usable crafting workstations and a crafting skill increase buff for two minutes! Enjoy! * When a player enters a random chronicle, they are mentored to a level appropriate to the difficulty for it. – Players will not be able to mentor while they are in it. – As soon as they exit the chronicle, their level will be restored to the value it was before they entered the chronicle. * When a player queues for a random chronicle, the player’s unmentored level is used to determine what level-appropriate chronicles are available to them. * All tier 1 and tier 2 raids have had their difficulty reduced! All bosses now have 10% less health and deal 10% less damage. * In Hammerknell, Estrode and Moliar drop a DPS polearm, Zamira drops a tanking polearm, and Akylios drops both a tanking axe and a dps sword. – In Intrepid Guild of Prophecy, Uruluuk and Guurloth each drop a tanking and a dps weapon. – Tank items are now 1 in every 5 drops, down from 1 in every 3 drops. – Leather items and jewelry with dexterity as the primary stat are twice as common as other items to account for Primalists occupying raid spots and competing for dexterity loot. * Raid bosses from the Rhen of Fate, Mount Sharax, Tyrant’s Forge, Hammerknell, and Intrepid Guild of Prophecy raids now drop an additional item. – As part of this change bosses that previously dropped 1 each of two types of items now have a very small chance to drop 3 of the same type of item (e.g. Grugonim has a small chance to drop 3 chest armors). – However, in the rare case of 3 items of the same type dropping, no individual item will be repeated. * Rogue weapons now drop from Sicaron and Zamira in Hammerknell. *Fixed Lashers of Akylios to attack players in a 360 degree radius. * Mount Sharax bosses now also drop tier 1 raid weapons. Izkinra drops a primalist tank weapon, the Yrlwalach drops a primalist dps weapon, and Threngar drops both a relic tanking weapon and a relic dps weapon. * Crucia now triggers reactive abilities conditioned on block with her auto attack. * Players are now significantly less likely to be assigned to a Warfront that is close to ending. – Although the exact cutoffs vary for each warfront, matches that have lopsided scores and are near the last 20% of their time limits will no longer be assigned new players. – These cutoffs are deliberately loose to preserve as much potential for comeback wins as possible while still addressing the pain of queuing into what feels like an unrecoverable match score. * Fixed a bug where some abilities healed more than intended during PVP. * Upgradable items will now display the upgrade icon in the crafting window. * The effects from the new flavor items created by Apothecaries and Runecrafters will now be removed whenever a PvP action is taken. * The Planar Crafting fishing lure now occasionally lets you fish-up trash to let you know that the lure is working. * Added the missing rune upgrade recipe, ‘Illustrious Weapon-rune of Endurance’ to Smokey in Choreburg. * The crafting window will now remember which crafting skill categories you had expanded when you log out and restore that the next time you log in. * The crafting window will now remember if you had the Hide Trivial Recipes checkbox checked. * Crafting rifts have been spotted in Planetouched Wilds! * We’ve added crafting workstations that appear once a Crafting Rift is fully sealed in Tarken Glacier or Planetouched Wilds. You will also receive a buff that increases your crafting skill-ups while using the crafting workstations. * Apothecaries and Runecrafters rejoice! There is now support for you in Planar Crafting! Seek out Tephael in Choreburg to obtain the new weekly quest and the Rift Store or Bob to obtain the new recipes! * New Dream Orb recipes have been added for Dream Weaving! We have also added new Dream Orb recipes for Planar Crafting! The planar crafted Dream Orbs can also be used on earrings, belts and gloves! * With the power increase for 3.4, we are able to add in new crafting recipes for Apothecaries, Runecrafters and Survivalists! *A whole new tier of power for crafted items upgrades have been added to Rift! * The number of available tiers of crafted items have been reduced and combined to ease the path to power. * The cost to upgrade all crafted gear have been reduced to make upgrades more compelling for players. * Stan’s Tacklebox and Lure has been found in Planetouched Wilds as well as Tarken Glacier! Feel free to continue your search there as well! * Please take note that we have lowered the merchant buy price of all Nightmare Tide fish to 1 silver. * The Planar Crafted fishing poles no longer fish up Motes or the relic Imperishable without the use of a Planar Crafted fishing lure. – With this change, the cooldown on the Planar Crafted fishing lures has been reduced from 24 hours to 8 hours. * Set a minimum level of 62 to the Planar Crafting and Congealed Dreams weekly quests in Choreburg. * Fixed a bug that caused equipping the Icy Heart of the Marauder to trigger some Synergy Crystal effects. * Column of Housed Souls now has an DPS upgrade path for a relic item. * Added messaging to clarify when socketed essences can be upgraded. * Fae Yule Revelers and Summer Shimmy appearance sets now contain the correct items. * Weapon damage is now bolstered correctly when entering warfront map. * The “Ice-Zerker” effect present on weapons from Threngar has been redesigned. – While Ice-Zerker is active, it now deals 4,201 Water Damage to your target when you attack them with a single-target ability. – Ice-Zerker affects your next 5 attacks when it activates. * Fixed some incomplete footstep sound tags on the Greathound mount. Thanks Nithydux! * The random dimension button will now try to choose dimensions with players in them. * The dimension items incorrectly appearing as a metallic sphere have been replaced with more appropriate appearances. * Looking for that Laboratory workstation to put in your Dimension and add to your collection?! Look no further, they are now available from Crafting Rifts in Tarken Glacier and Planetouched Wilds! And that doesn’t include the 55 different Teth, or the three new types of artifacts, their sets and achievements related to them. 😛 It’s a collectors dream! 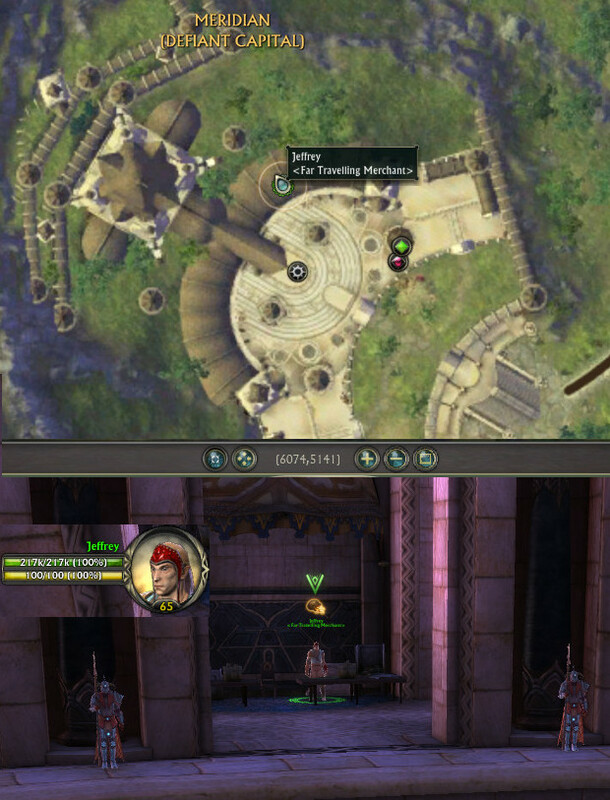 Is it me or is the NPC for daily chronicle quest missing from Margle Palace?